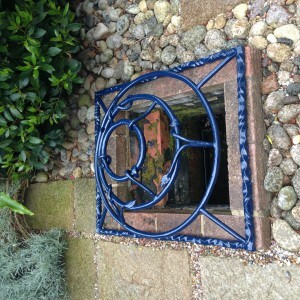 I’ve just finished this pond cover for a client in an Edwardian house in Hastings. They wanted something that water lilies could grow through but also stop people falling into a hole in their garden. 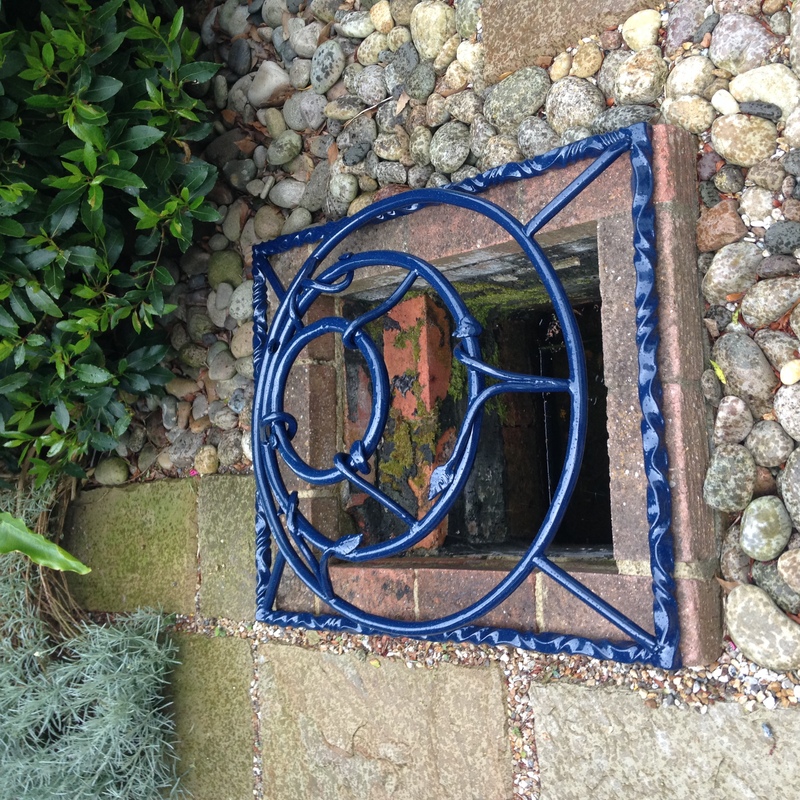 Some water twists, concentric circles, a few leaves and a beautiful azure blue finish has done the job.